Your front door is one of the first opportunities that you’ll get to show guests, visiting family and friends your unique style. Besides making your dwelling more attractive, quality doors add to your home’s safety and security. Switching out boring builder-grade doors is a home improvement that adds beauty and value to your home. LYF Construction has been installing exterior, interior, and storm doors for residential and commercial property owners since 2003. We specialize in matching our clients with doors that fit their needs and their homes’ architectural designs. To update your exterior and interior doors, give us a call at (832) 304-6764 for a free consultation. Real estate experts at Zillow claim that you can improve your home’s value by just painting your front door. Imagine the impact of replacing a dull, low-quality entry with a beautiful wooden or wrought-iron number. At LYF Construction, design experts help you to choose the right door for your home and lifestyle. We know that you have plenty of choices in today’s marketplace; some door retailers sell their doors online. These online stores pre-cut and pre-configure their doors based upon dimensions that you give them. If you’ve found your perfect door online, we’ll help you to get the proper dimensions ready for your order and professionally install your door upon delivery. If you’re doing a room remodel, it’s the perfect time to consider upgrading your interior doors. Whether you’re welcoming a new baby to a nursery or splurging on a sunroom, updated doors with the right design details give your new living spaces character. Interior doors come in pre-hung styles and slab varieties, which require you to supply door frames and hardware. By partnering with LYF Construction for all your interior door installation needs, you’ll widen your options. For 16 years, our experienced technicians have installed all types of designer doors. Let us help you with your next interior door installation project by calling (832) 304-6764 for a free quote. We install storm doors to protect your home’s exterior doors from the ravages of snow, wind, and rain storms. Storm doors come in full glass designs and ones that have screens. 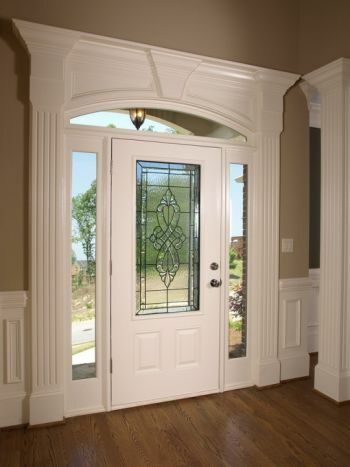 Besides extending the life of quality exterior doors, glass storm doors help to insulate your home. Storm doors with screens allow you to catch fresh, outdoor breezes without letting in flies, bees, or other annoying pests. When you’re ready to experience the freedom that storm doors bring, give LYF Construction a call at (832) 304-6764 to find out more about our storm door installation services.